saturdays in london are the most magical because of portobello road. i'm not going to lie, kira and i spent 8 hours the first saturday we had there. which i admit may be a little excessive, but how could we not look at every antique dress, piece of fabric, book, chandelier, jewelry, fur... etc. so, first things first, you need to go to portobello. and you can stay as long as you want. you'll probably want to eat- so get a crepe and be prepared to have the best time. also, if you see any bands playing, stop and listen. this is where me and kira fell in love with the ryan o'reilly band. they may still play there. and i will be infinitely jealous of you if they do. 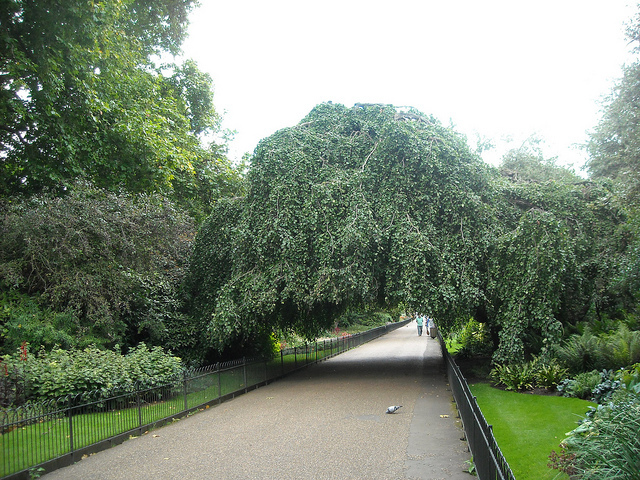 since you are in the area you need to go to kensington gardens. (hopefully you read peter pan before your trip, as depressing as it is, it's one of the best books ever). in kensington gardens, walk past the peter pan themed park (sadly you can't go in unless you have children, which i am determined to do someday), and around the circle pond. you can visit the kensington palace which i would highly recommend. it is no longer used by royalty, but you can see all of the rooms that were used by diana! there are rotating exhibits there, luckily, kira and i went when it was an exhibit on debutantes so there were gorgeous dresses on view. 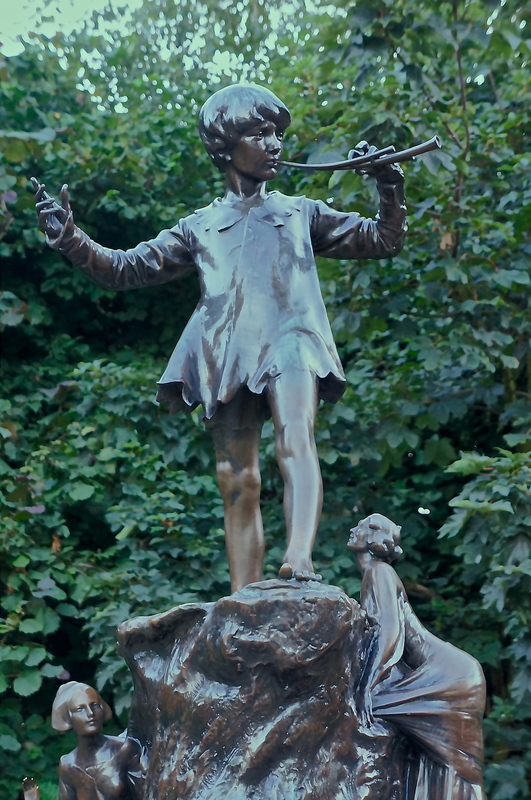 while you are in kensington you also need to go find the peter pan statue. it is kind of on the other end of the park (any of the park maps will tell you were to find it), but it is magical! j.m. barry asked that it be placed there in the middle of the night 'as if by fairies'. to me, this was so much more exciting than platform 9 and 3/4. next you should probably walk to south kensington for some lunch/dinner (depending on how long you took), and do some shopping. this one was of my favorite areas to shop in in london. many great stores are there. be sure to look for zara and topshop- they are both classic london stores, and i actually regret not spending more money there. 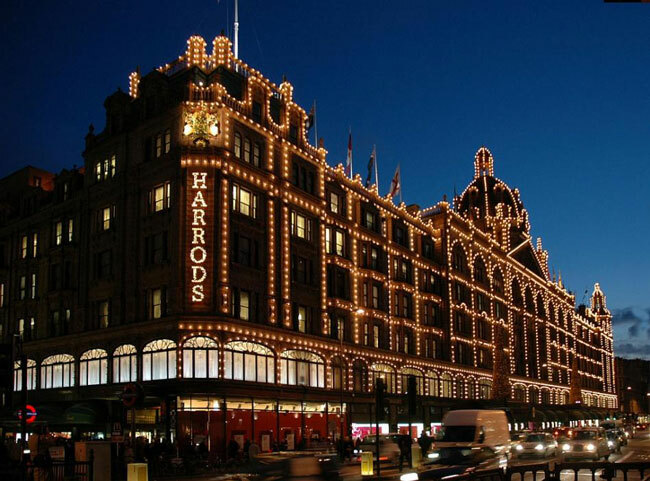 you also want to check out harrod's, it is a massive and expensive department store that you could probably live it. it's perfectly british. you might only be able to afford the treats that they have, but who doesn't want more treats? if you are done early you can stop by the victoria and albert museum, they close at 5:45 on saturdays (or you could go here and then do your shopping). there is a great collection of art and probably the best permanent collection of fashion. the museum is huge, so look online beforehand to find which things you want to see the most. again, your options for what you want to do at night are limitless but up to you. i would check out time out to see what plays are on, and if there are any special events.